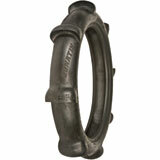 Tires can be in any of these terrains specifically, or in a range, i.e. 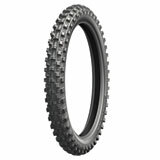 soft-intermediate. 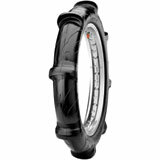 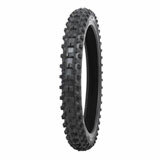 It’s important to pick the terrain of tire that corresponds with where you are riding. 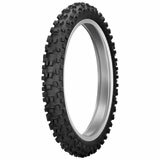 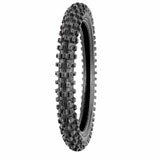 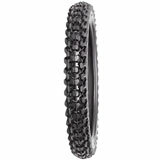 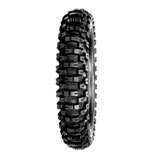 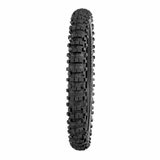 If you’re riding somewhere rocky or with lots of sharp, potential trail hazards, a hard terrain tire should be the go-to. 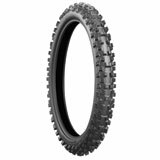 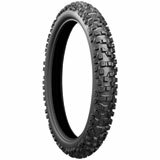 Comprised of softer, more flexible rubber, this tire will flex around the debris on the trail and decrease your chances of popping a tire. 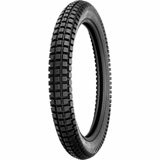 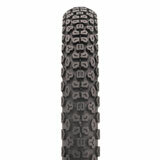 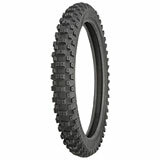 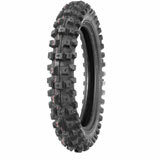 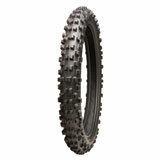 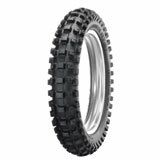 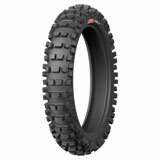 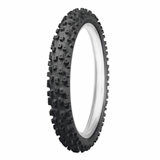 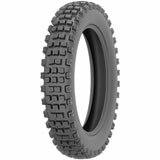 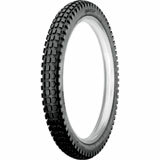 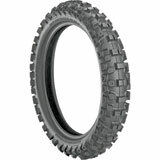 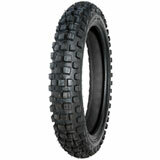 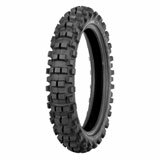 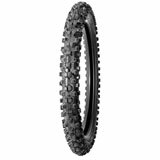 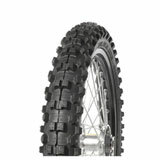 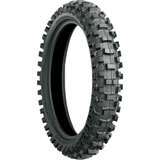 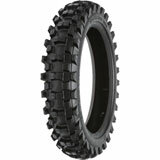 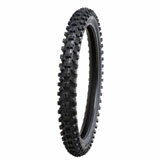 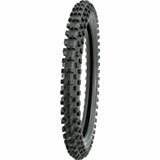 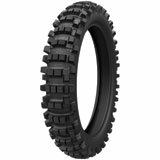 On the flip side, any loose, soft, relatively-hazard-free terrain should be navigated with a softer terrain tire. 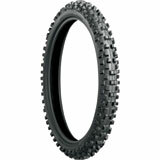 The harder rubber gives bite and traction to keep your bike from slipping. 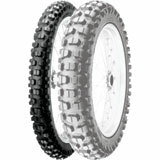 As for riding in sand or the dunes, sand paddles are going to be the best option. 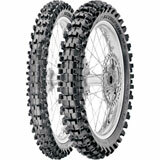 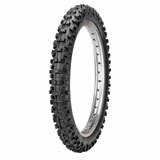 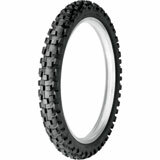 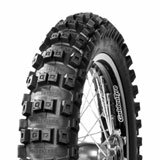 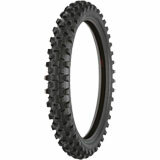 Another factor worth considering is the type of dirt bike tire—radial, or bias. 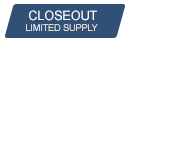 The difference between the two comes down to the placement of ply cords. 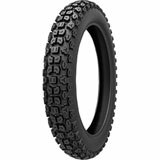 Radial tires are constructed with ply cords extending from bead-to-bead at a 90° angle. 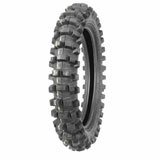 This makes them stiffer, but provides longer tread life. 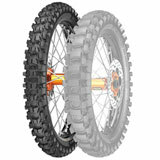 Bias tires are created with ply cords extending diagonally from bead to bead at 30-60° angles. 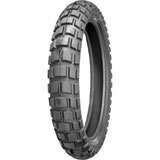 This gives the tires better flexibility, which makes them more comfortable on those rocky or rough terrains, but also less durable than their radial counterparts. 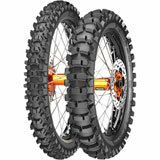 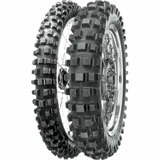 When it comes to the size of your new dirt bike tires, it’s best to stick as close to stock as possible. 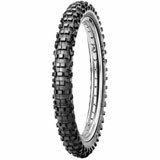 There isn’t much room for height and width changes on a dirt bike, and committing to a drastic change could mean rubbing and damaging of other components. 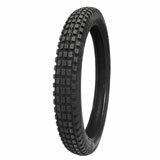 So check your owner’s manual, the sidewall of your tire, or our Tire Information page before investing in some new rubber. 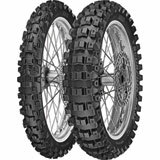 With a large stock of brands and sizes in all terrains and constructions, look no further than our selection here at Rocky Mountain ATV/MC.